The YC Hertfordshire Welwyn Garden City Access Point is currently closed for refurbishment. Until it reopens, young people in the Welwyn Hatfield district can go to the YC Hertfordshire Hatfield Access Point or call us on 01992 588220. 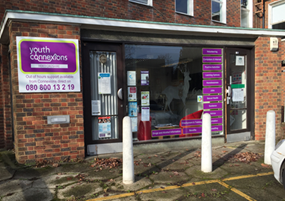 Please see above for opening times of the YC Hertfordshire Welwyn Garden City Access Point. You can just drop in or call to make an appointment if you wish.